I had a little recording session of Sting’s music. He is demoing a bunch of arrangements to work out the fine points with the arrangers (Rob Mathis), and writers for his upcoming world tour. So New York’s finest studio players were assembled by Sandra Park the big film contractor in New York for a bunch of sessions. I did get to talk with Sting for a bit and get a picture with him. We spoke about some mutual friends, particularly Kenny Kirkland who I grew up playing with, and was the pianist of my generation who set the standards for all others. Anyway Sting has a picture of Kenny on his piano in his house as do I. 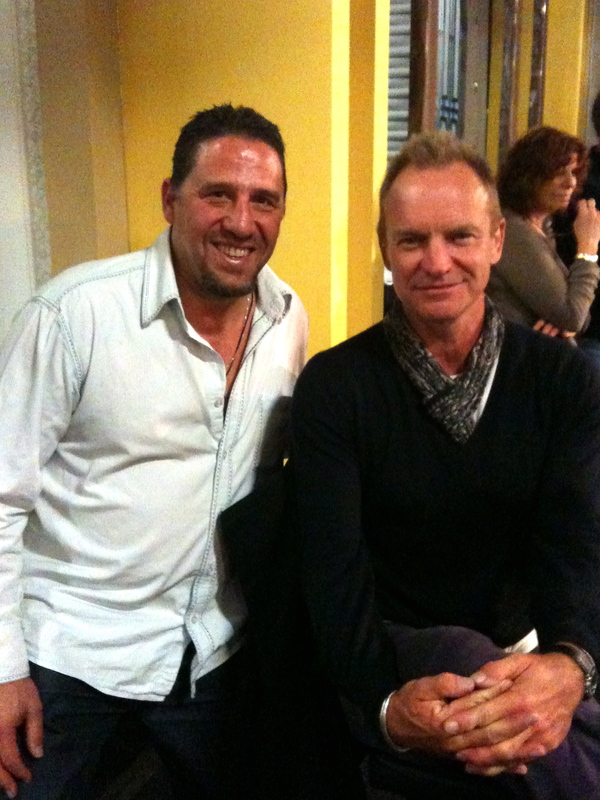 It was nice to meet Sting briefly after admiring his music for years.